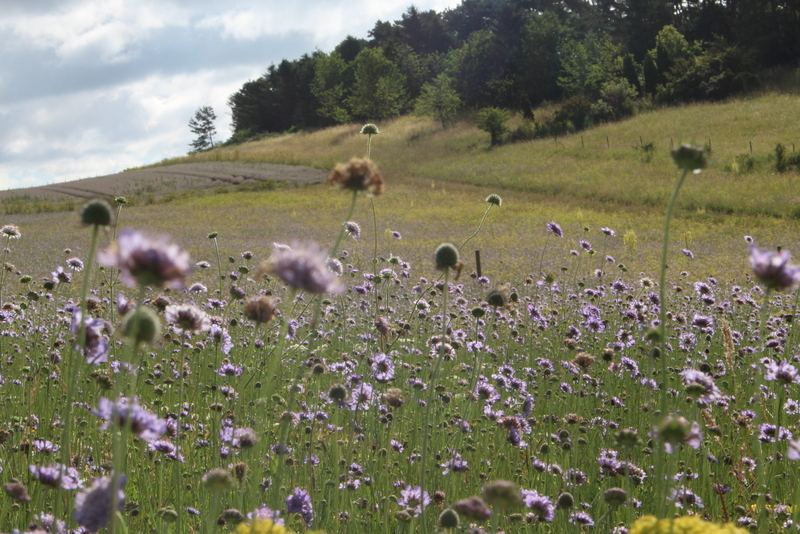 Creating chalk grassland – how rich is ‘flower-rich’? We aim to produce flower-rich grassland – that is, it not only has numerous species per square metre, but is also rich in blooms. But how rich is flower-rich? To start to get an idea of this we did some counts of Small Scabious flower heads at the end of the 2016 flowering season. The grassland we sampled averaged about 580 Small Scabious flowers per square metre. This equals 5.8 million per hectare. Small Scabious is probably the commonest plant in our chalk grassland, but is just one among 15-20 flowering species per square metre. Not all the Small Scabious blooms are out at once as their flowering season extends over 3-4 months. Grassland selected for grazing during the late-spring or summer will have a lower flower count.